A bittersweet tale of an impoverished girl, Francie, coming of age in an unforgiving world set at the turn of the 19th century, this novel explores the harsh realities of women in society, work, and family as seen through Francie's eyes. Simultaneously heart-wrenching, hopeful, and beautiful. The beloved perennial classic—named as one of the books of the twentieth century by the New York Public Library. 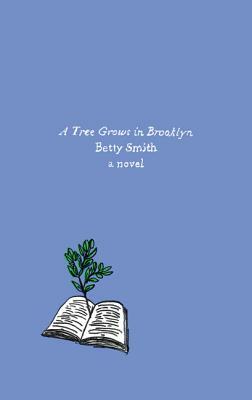 Orville Prescott has called this American classic “one of the most dearly beloved and one of the finest books of our day.” Indeed, when A Tree Grows in Brooklyn was first published in 1943, four printing plants were required to keep up with the demand. Seventy years later, readers are still fascinated by Betty Smith’s moving portrayal of the Nolans, a poor family living in the Williamsburg slums of Brooklyn. A poignant tale of childhood and the ties of family, A Tree Grows in Brooklyn will transport the reader to the early 1900s where a little girl named Francie dreamily looks out her window at a tree struggling to reach the sky.